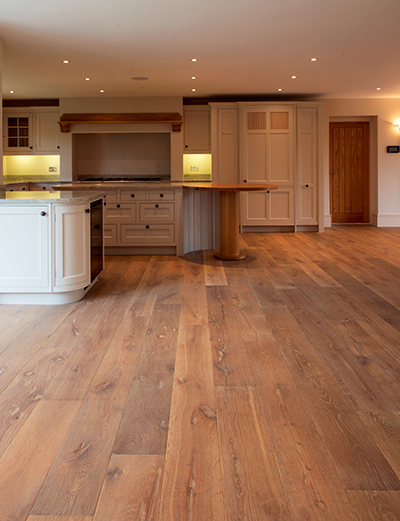 Oak remains the most popular choice for flooring in England. While solid oak flooring remains hard to beat, engineered oak flooring is increasingly the floor of choice. For those wanting an authentic solid oak floor we have a wide range of choices. However if you are laying your floor over under floor heating, or you are interested in a wider range of finishes, then we offer a range of European made engineered oak flooring. Constructed from a high quality birch plywood base and a top layer of solid European oak, engineered floors are an alternative to solid wood flooring. Engineered flooring offers several practical advantages without compromising on the authentic look and feel. Its sandwich construction is more stable than solid wood and will not be as affected by changes in humidity and temperature. This dimensional stability of engineered flooring means there is less need to acclimatise the boards before installing, resulting in a quicker and easier job. The key advantage of engineered flooring is that it can be laid over under floor heating. However be aware that engineered oak boards are not immune to movement and care should be taken when activating the heating. For advice about laying flooring over underfloor heating see here. 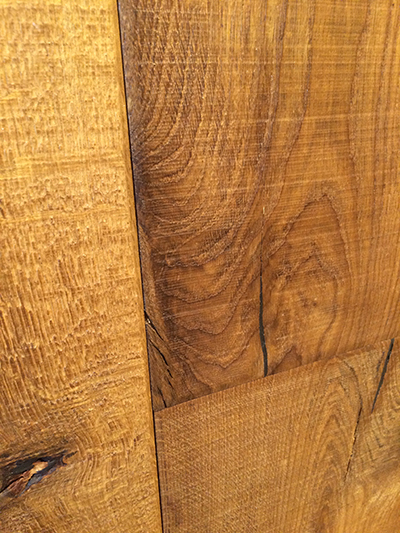 Our engineered oak flooring is available from stock as unfinished boards in both select and rustic grades. Samples of the flooring can be viewed in our showroom. We also offer a pre-finished range of engineered oak boards that have to be seen to be believed. Processes including smoking, brushing and oiling are used to produce a stunning finished product. We urge you to come and view the boards at our showroom in Wootton Bassett, just outside Swindon. Contact us here.